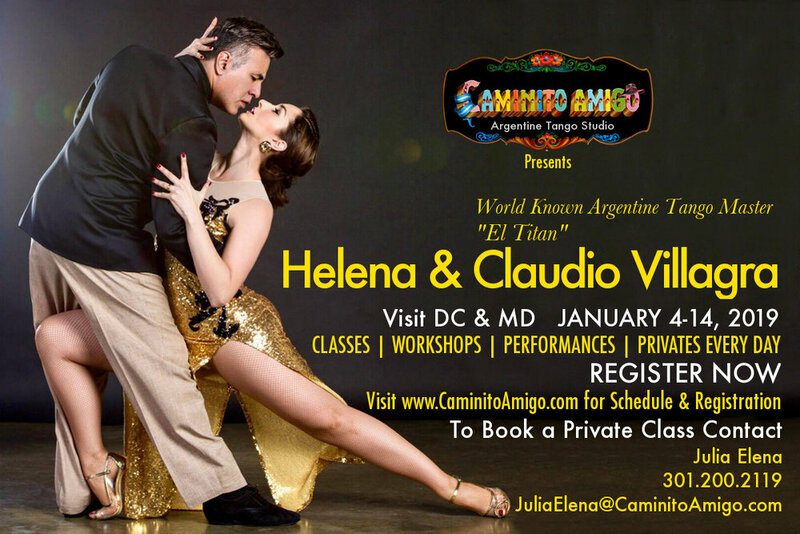 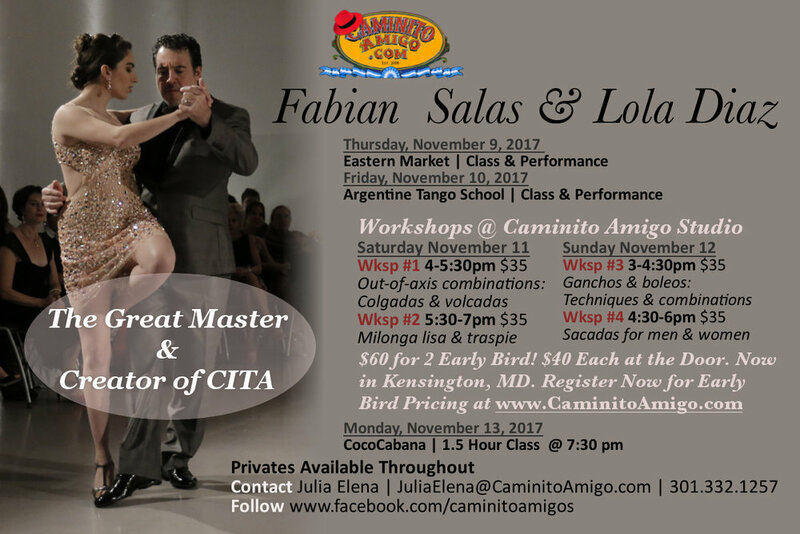 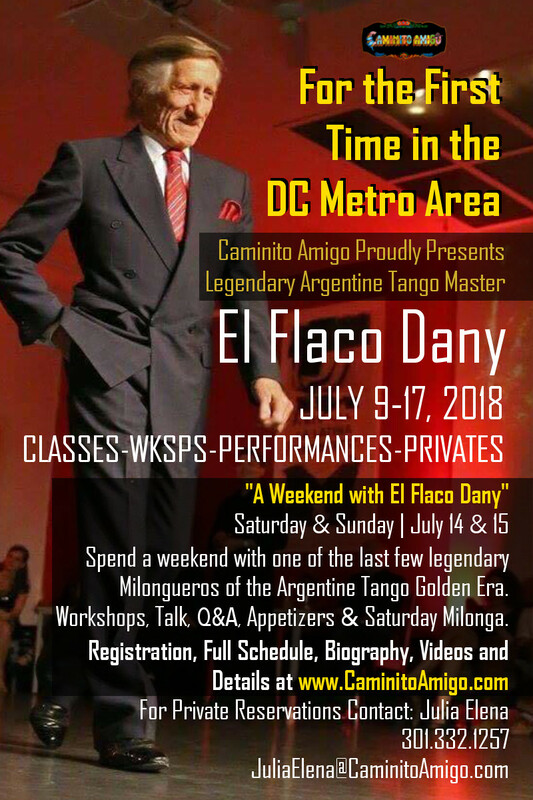 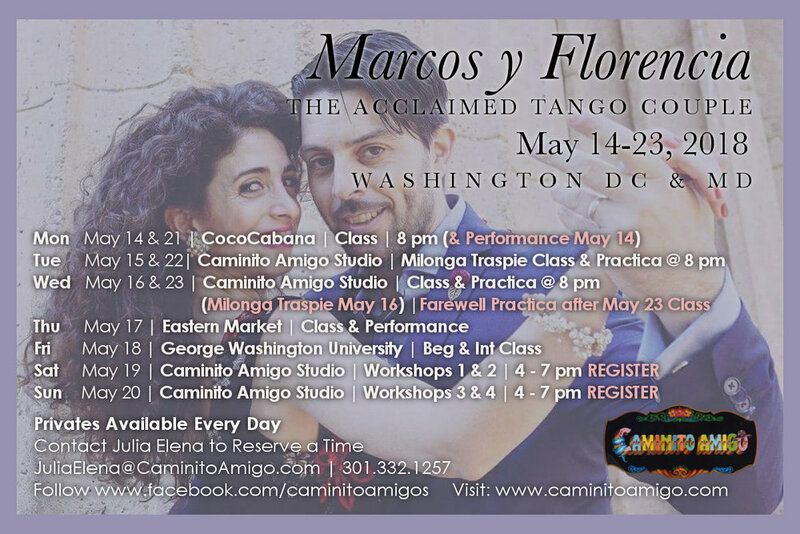 Caminito Amigo hosts a guest Master Teacher every month. 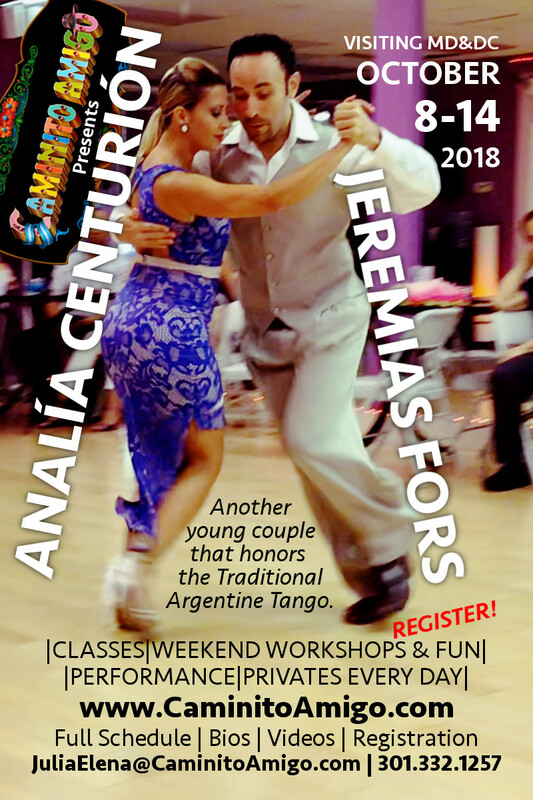 A Master teacher is known in all of Argentina and worldwide. 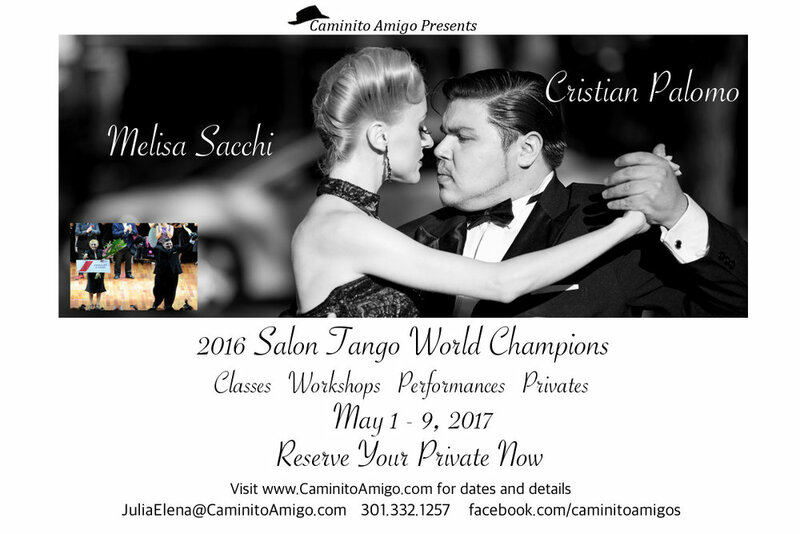 This plus their vast years of wide-ranging experience make them Argentine Tango Masters. 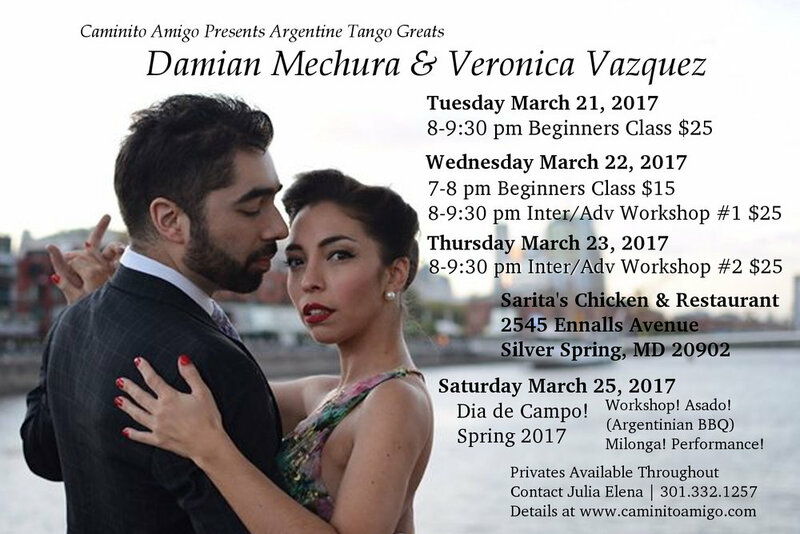 They are all are incredible teachers in the traditional style we promote and hold amazing classes, privates and workshops. 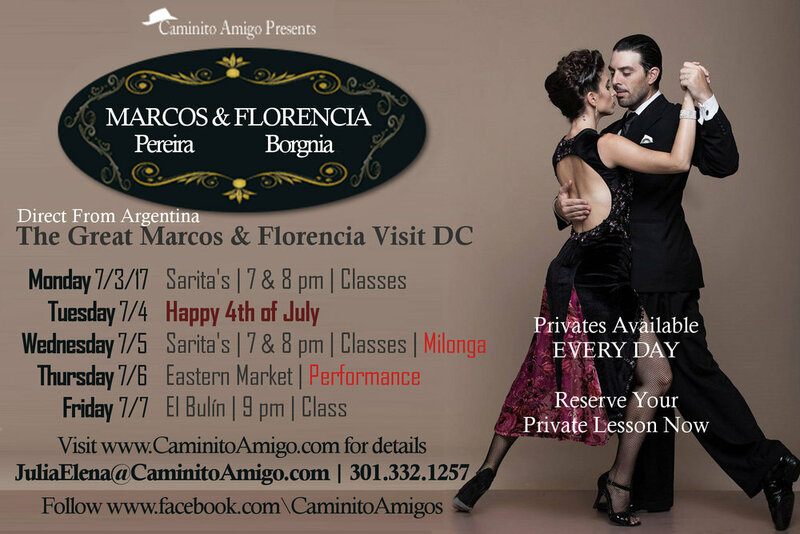 We are proud to host them here in the DC area as they travel around the U.S.A. and the world. 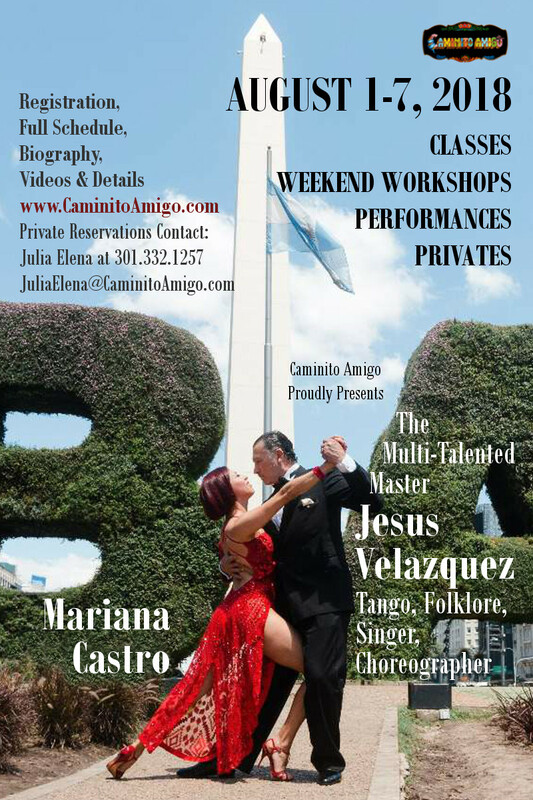 Read their biographies and when next they’ll be visiting us below.